The history of a woman’s emotional education, a romantic tale of a marriage between a straight woman and a gay man, and an exploration of the ways in which cooking can lay the groundwork not only for personal healing and intimate relation but for political community as well. Organized by decade and by the cookbooks that influenced the author’s life, Tasting Home draws us into an extraordinary journey through the cuisines, cultural spirit, and politics of the 1940s through the 2000s. It comes with recipes. ForeWord Book of the Year, Silver: Women’s Studies. Judith Newton has spent her life searching for home and family while pursuing an academic career. 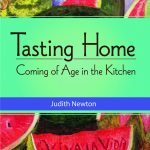 From seeking affection from her mother and time spent in communal living to her involvement in civil rights struggles, her choice to have a child, and the death of her best friend, Newton has marked the many phases of her life with food. Each chapter of this engaging memoir includes a recipe that relates to a corresponding time in Newton’s life. Readers will find her story delightful and resonant—especially given the universal relationship between food and family. “This is a well-paced coming-of- age story with all the right ingredients: honesty, well-drawn characters, and plenty of insight.” —Starred Review, Publisher’s Weekly. “In this . . . elegantly written work Newton has completely taken us by surprise. . . . there’s a sense of tension, of expectation, of waiting for the other shoe to drop that creates a subliminal buzz. Her vibrant writing has . . . energy and momentum . . .. [and through] her personal story, Newton manages to weave in the entire course of the culture, a reflection of her skills as an historian and an accomplished writer as well as a born storyteller.” –Jeanette Ferrary, author of Out of the Kitchen: Adventures of a Food Writer and M.F.K. Fisher and Me. Tasting Home is more than a food memoir. Influenced by the civil rights struggle, the women’s movement, and the AIDS epidemic, it is an odyssey of emotional, intellectual, and spiritual growth. Cooking serves as a powerful metaphor for the difficulties and pleasures of relations among mothers and daughters; husbands and wives; gays and heterosexuals; and racial-ethnic groups. Tasting Home, like a grand meal, is a resounding success. —–Belinda Robnett, How Long? How Long? African-American Women in the Struggle for Civil Rights. This evocative memoir creates a tapestry of the personal and the political, weaving together stories of family, friendship and community, of love, birth and death. Punctuated by favorite recipes for thoughtfully prepared meals, this vivid narrative celebrates matter of both the kitchen and the heart. —Wendy Martin, We are The Stories We Tell and More Stories We Tell. “This is a baby-boomer’s dream: a book full of anecdotes about coming of age in during the sexual revolution of the sixties — with recipes! . . . an ingeniously conceived, tightly written, and beautifully packaged memoir, a vibrant portrait of the American feminine cultural experience from the 1950s forward.” –Independent Publisher Review. 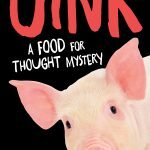 “Whether she is discovering hippie health foods, testing the rich cuisine of Italy and France, or entertaining grandly at home in the Southwest a la Martha Stewart, Newton is talking the talk and walking the walk, and we are trailing along behind her, happily picking up the crumbs.” –Barbara Bamberger Scott at Curled Up With a Good Book. Full review at: http://www.curledup.com/tasting_home.htm.